Whether you are moving next door, down the road, to another town, or even to another country, choosing the right removal company can make all the difference when moving home. Never underestimate the amount of physical and mental organisation it takes to move the contents of your home to a new one. Packing boxes is one thing, but lugging them in and out of vans and up and down stairs is another, and can be extremely exhausting, especially if you're on a tight deadline to vacate the property. If you've a sizeable amount to shift, or lots of valuable items, such as antique furniture or fragile pieces, it's best to choose a removal company to take the burden off your shoulders, so you can concentrate on organising the rest of your move. Make sure that you get several professional quotes well in advance of any proposed completion date. Take into account the price, the service you will receive and when the companies are able to conduct the move. For extra ease and convenience, many larger removal companies will offer a packing service, too, so that you can be confident that everything will be taken care of. Many will give you an instant indicative quote online, but it's better to get a detailed assessment from the removal company. Most removal companies will send out a sales estimator to see what you have to move. This allows them to price the quote more accurately and should help you choose a removal company more easily. The quotation process can take a couple of weeks and finding an available date might take another couple of weeks, so give yourself enough time to choose a removal company. Remember, many removal companies are booked up weeks in advance, so it pays to start looking for a removal company well before your completion date is due. If you can, provide your removal company with details of your new property's access points and layout, so they are aware of what to expect when they get there. For example, how many flights of stairs are there, will furniture fit through the doors, are there any alternative access routes? Most removal companies will provide you with dedicated moving insurance against loss or breakages of your property while it's in transit. Make sure this is the case before booking anyone. You should also contact your home contents insurer to find out if your current policy will insure your property while it's being moved, too. If you're comfortable negotiating the price, see if you can get any discounts from the removal company. Be aware that moving house at peak times, such as Saturdays and during school holidays, will be more expensive, as demand is usually very high at these times. If you can, try and arrange to move on a normal weekday when it might be cheaper and there may be more room for a discount. It's a good idea to check that any removal companies you contact are members of either The British Association of Removers or The National Guild of Removers and Storers. These organisations are dedicated to providing excellence in the removals industry for the benefit of both removal companies and their customers. They set standards and a code of conduct for their members, so you should be reassured of their professionalism and conduct at all times. The best way to choose a removal company is from a positive recommendation from a friend or family member. This takes away much of the uncertainty surrounding service expectations if you can be reasonably sure of their performance with other customers. If you can't get a recommendation, then trust your instincts and go with the company that has demonstrated professionalism, helpfulness and friendliness in your contact with them. If they are slightly more expensive, ask if they will negotiate a cheaper price for you. 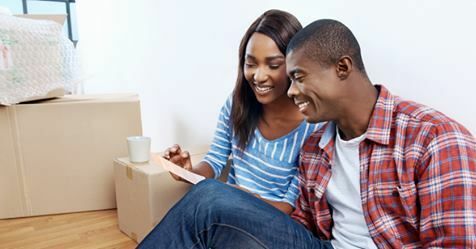 Above all, make sure you have a good rapport with your removal company as you're trusting them with your worldly goods and a good relationship will make the transition as smooth and painless as possible. Start organising your move now by reading our dedicated moving checklist.